Feed and seed silos from GE Silos are custom built for filling bags, buckets, wheelbarrows and trailers. 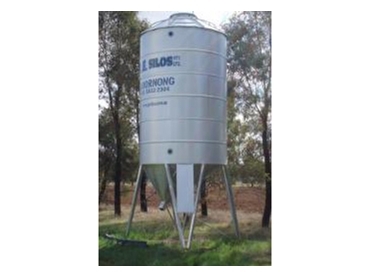 These feed and seed silos are suitable to be used in a number of rural settings, including at dairies, poultry farms, small acreage farms, and piggeries. They are ideal for storing grain and for feed lots. There are a number of sizes available. The 8.8m3 model can store 6.6 tonne of wheat, while the 28m3 can handle 21.3 tonne of wheat.